Capital Ford’s vehicle inspection checklist is a thorough and comprehensive inspection of the entire vehicle, with a focus on its essential parts. You will receive a Vehicle Report Card to help determine what needs to be done and what can wait. Fluids: checking all fluids and topping them up. Fluids include: washer, transmission, power steering, coolant, and brake. Power components: examination of all power accessories. Lights and Safety features: inspection of the horn and exterior lighting. Lighting includes: headlights, brake lamps, hazard signals. Windshield: checking the windshield glass for cracks, pitting, and operation of the wipers, sprayer, and fluid. Engine Components: examination of the engine air filter and drive belts. HVAC: inspection of the radiator, heater, A/C for leaks and wear. Includes cabin air filter inspection. Battery: includes battery test and inspection of cables and components. Tires: visual inspection of tires for unusual wear, obtrusions. Tire pressure checked and air/nitrogen added if necessary. What is a safety inspection, and how can I get one in Regina? 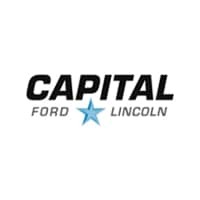 Capital Ford, your one-stop shop for new and used vehicles, is also your safety headquarters. We are certified to perform complete safety inspections and our customer service is second to none. But what is a safety inspection? There are two types of safety inspections. A Mechanical Safety Inspection determines whether or not a vehicle is mechanically safe to drive, and a Body Integrity Inspection determines whether or not a vehicle is structurally safe to drive. Some passenger vehicles brought into Saskatchewan from out of province and some total loss vehicles are structurally and mechanically unfit for the road. Before these vehicles can be registered in Saskatchewan, they need to pass one or both inspections, depending on the condition of the vehicle. Here at Capital Ford, we perform both of these inspections to the highest standards. We will check your vehicle from top to bottom, inside and out, to ensure that it meets SGI’s requirements. We will check everything from your interior lights and airbags, to your alternator and battery. Vehicle Identification number, sun visors, horn operation, mirrors, windshield wiper, and washers, windshield defroster and heater, windshield & other glass instruments, instrument lamps, switches, brake & clutch pedals, interior lamps, accelerator pedal, seats, seat belts and airbags, steering column and components, speedometer & odometer, engine shutdown controls, neutral switch and shift pattern, parking brake, clutch disengagement, Indicator lamps, airbags, power booster operation, brake reserve & leakage test, steering lash and travel, auxiliary equipment, floor, and doors. Daytime running lamps, headlamp operation and aim, parking lamps, signal lamps, hazard lamps, clearance and side marker lamps, tail and stop lamps, backup lamps, taxi lamp, reflectors, auxiliary lamps, bumper and trailer hitch, body hood and trunk, fenders and mud flaps, Frame Mounts & Unibody. Wheels and tires, wheel bearings, ball joints kingpin, rack and pinion steering, engine/transmission mounts, steering leakage, MacPherson strut, shock absorbers, suspension, fuel lines, tanks and straps, exhaust system, drive shaft, axles, constant velocity joints, brake lines and hoses, wheel seal leaks, parking brake mechanism, disc brake pads, disc brake callipers, disc brake rotors, drum brake lining, brake drums, wheel cylinders, brake mechanical components and anti-lock brakes. Drive belts, hood and safety catch, power steering system, brake hydraulic system, brake master cylinder, fuel system, battery and wiring, alternator, exhaust manifolds, vacuum system and fluid levels. If you need a vehicle inspection, Capital Ford is your safety headquarters. If your vehicle needs a safety inspection, our technicians will ensure it’s done right.